Specializing in sushi and Japanese cuisine. I am SO impressed by Anaya. I got their sushi combo specials (2 and 3 rolls) for pickup. Each combo comes with a small salad and DELICIOUS miso soup. The yellowtail jalapeo roll was amazing, as was the crunchy spicy salmon roll. I can't wait to try all the options. Good selection for vegetarians as well. Will definitely be ordering from them again! Sushi was the bomb. they must have changed the venue because it was totally different from when we first went there years ago. Everything was so much better...excellent choice of restaurant. Just a little expensive so be prepared to open up your wallet. But if you have the money the food is definitely worth it. The food was incredible. The poor kraken with 10 hour broth is unparalleled here. And the tuna salad delicious. Perfect ginger dressing! Can't say anymore about how great the food was this time! Really great experience!! It came early which is always awesome. The sushi and sashimi were fresh and delicious. The eel and avocado roll was especially tasty. And mmmm what good miso soup. The food was absolutely out of this world. They could not have done a better job. Everything was perfect. The only reason it was a little late was that they double-checked with me on the order specifics. Everything was truly flawless when it arrived. The rice and seaweed texture, both marvelous. I will eat there again, when I'm in town and ordering delivery both. This is by far one the most superior places to get sushi! Everything was so delicious! The staff was extremely nice! I would go everyday and try everything on their menu if I could afford it! I will definitely be back to try something equally as delicious! Fresh, delicious and inexpensive. Loved it. 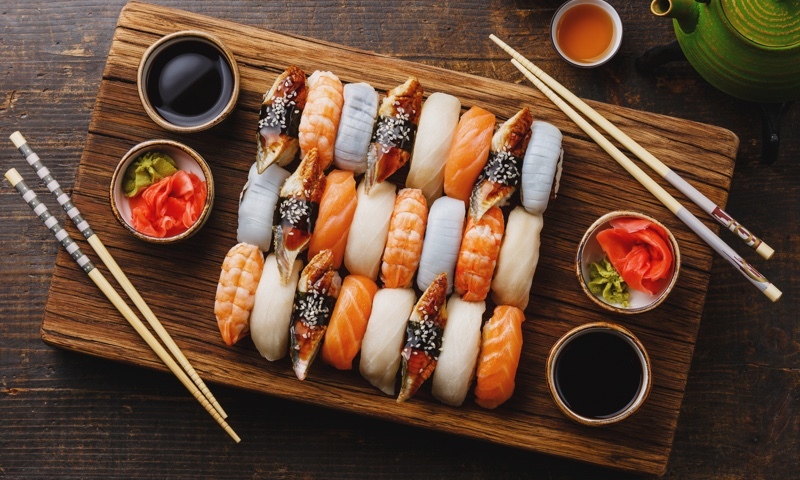 Whether you're craving a quick bite or looking to treat yourself to a delicious meal, you can now order your Anaya Sushi & Ramen favorites for takeout or delivery.